We will develop our businesses, optimizing our cultivated technological strengths in the industrial products field, including the automotive industry, while striving to resolve social issues with our business partners. We will contribute to social progress by broadening our business scope through new technologies and products. 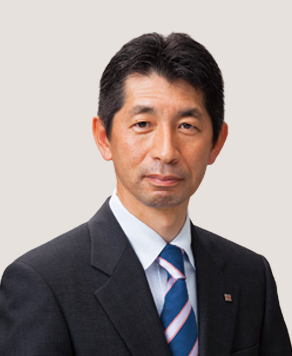 We will deepen our involvement in the automotive industry through our optical and image processing technologies. At the same time, we will refine our imaging and Internet of Things technologies to build presences in machine tools and other sectors. 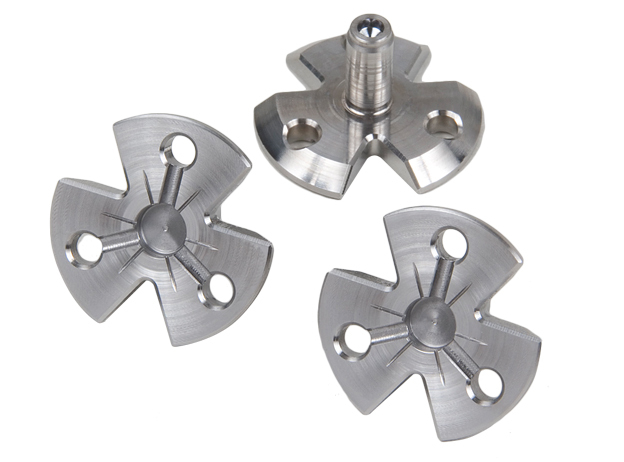 We pursue a range of applications in Industrial Products while endeavoring to expand earnings. 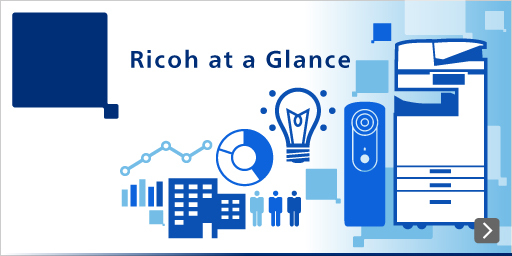 In the automotive business of Ricoh Industrial Solutions, we integrated our optical and image processing technologies to commercialize on-board stereo cameras that offer an advanced driver assistance system and autonomous driving. The camera’s 3D image processing technology incorporates proprietary dense stereo matching technology to detect pedestrians, vehicles, guard rails, and other obstacles, as well as slightly uneven road surfaces, processing high-speed data in real time. This means that vehicles can detect free space on road surfaces and use advanced steering control assistance to avoid obstacles. 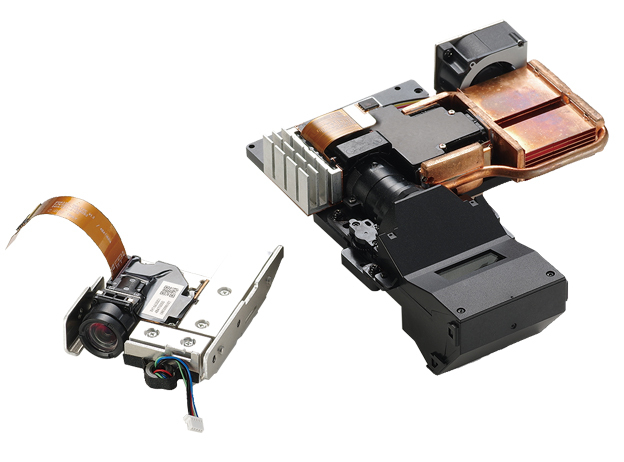 In the projection module business, we offer high-definition lenses and expand our supply of small short focus and ultra-short focus projector modules to cater to increasing demands for industrial embedded applications. Our industrial smart systems business provides new value for the Internet of Things by integrating sensing and computing technologies. One fruit of our efforts is a sensing system that combines proprietary sensors and data analysis technology to visualize the vibrations of operating facilities and machinery, thereby preventing incidents or shortening downtimes. In the years ahead, we aim to provide optimal, user-friendly solutions for all operating equipment operators. 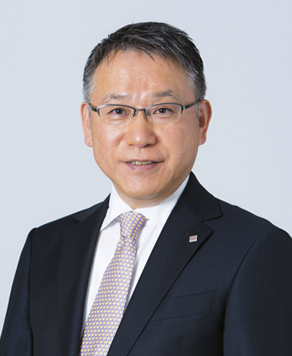 In its precision equipment parts business, Ricoh Elemex (REX) mainly focuses on precision automotive components. REX aims to expand its business by continually innovating the precision processing technology that has amassed over many years, and pursues manufacturing innovations that anticipate customer’s demand for improved environmental performance of engines. In the industrial equipment business, we automate production facilities. 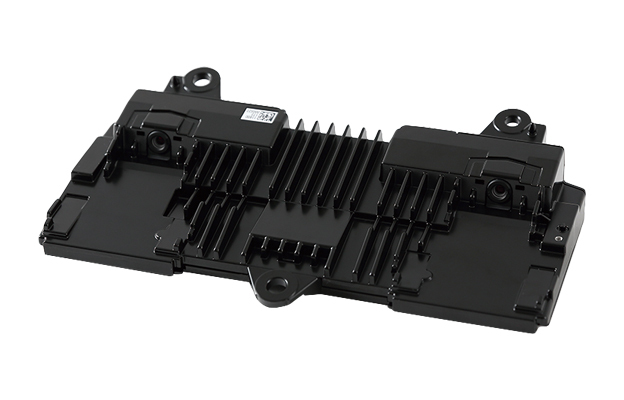 REX also develops systems that visually inspect metal, painted, and plated parts, and lithium-ion battery inspection equipment, and other equipment so our offerings are even more useful, particularly in the automotive sector. We are expanding our cloud service options as image solutions so consumers and businesses can better use and share 360° still images and movies showcasing atmospheres and locations from the RICOH THETA camera. 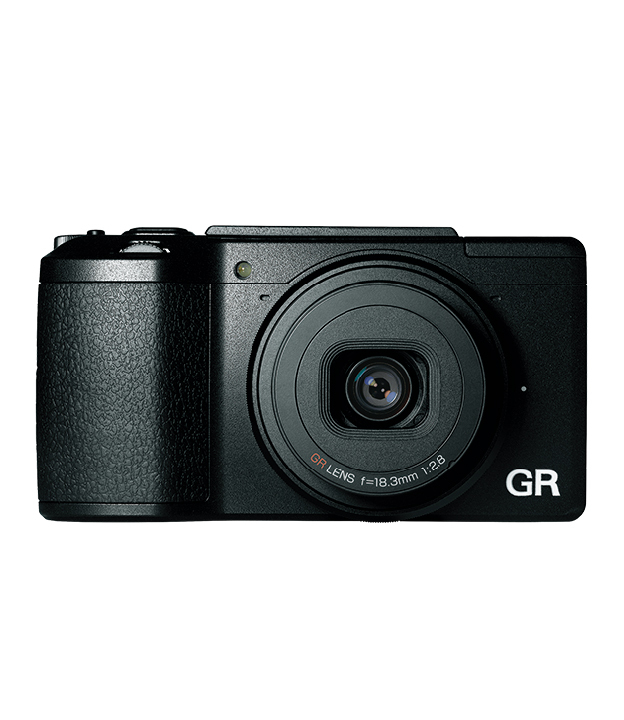 Our digital camera lineup caters to customers who have long been fans of our offerings. We will contribute to the evolution of the Internet of Things by building a data business that takes advantage of our unique and attractive hardware. 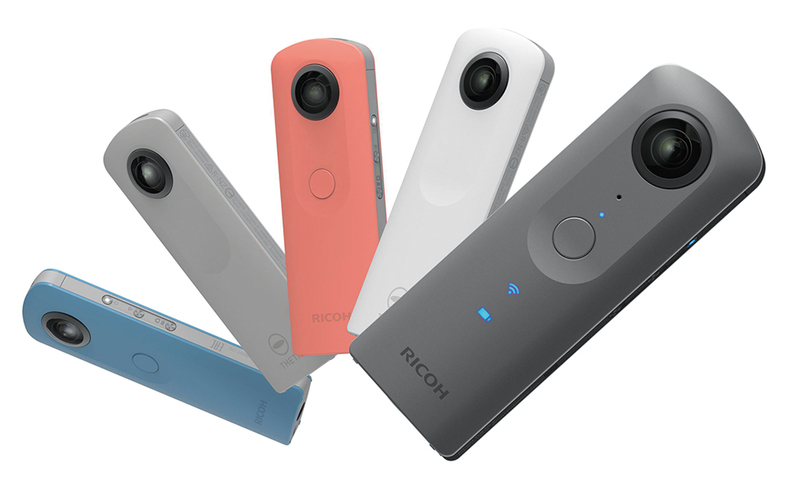 We are focusing on reinforcing our sales structure and services to broaden business applications for the RICOH THETA camera. 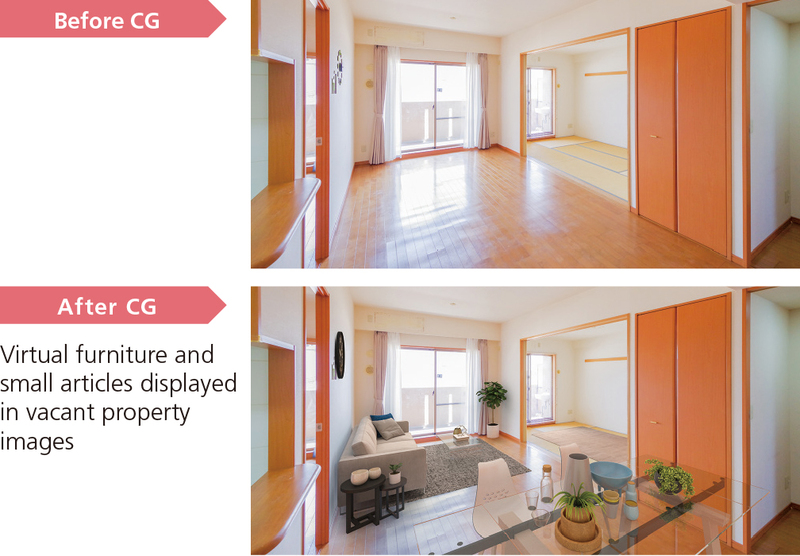 This model has considerable potential in the restaurant, hotel, tourist facility, construction, and automotive sectors. One data business is THETA 360.biz, a Web application that makes it easy to save images on the cloud and show them on subscriber websites. 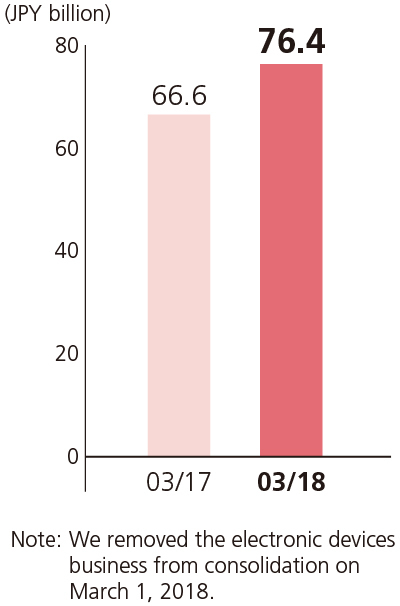 Other data businesses are RICOH360-VR Staging, which can display virtual images on THETA 360.biz, and the RICOH360-Ad service for producing, distributing, and storing contents for 360° images used in online advertising. We are also building a platform to accumulate and analyze image and movie data. We aim to enhance customer value in marketing, security, and other industry and business applications. They include customer behavior analysis solutions that use face authentication algorithms on our platform. The RICOH THETA V makes it possible to expand functionality by installing plug-ins. We have made several application programming interfaces and software development kits available for open environments to enable collaboration with external developers on a range of devices and systems. 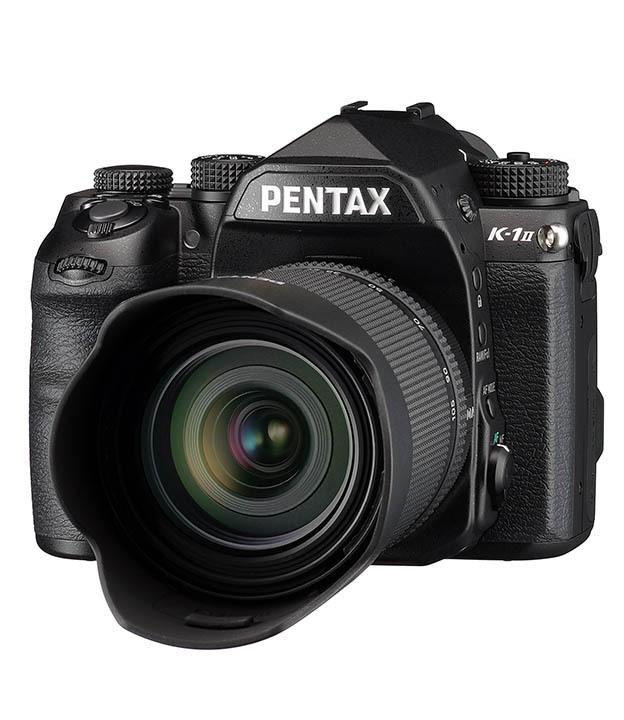 In conventional digital cameras, we maintain a solid lineup of models that match customer interests. 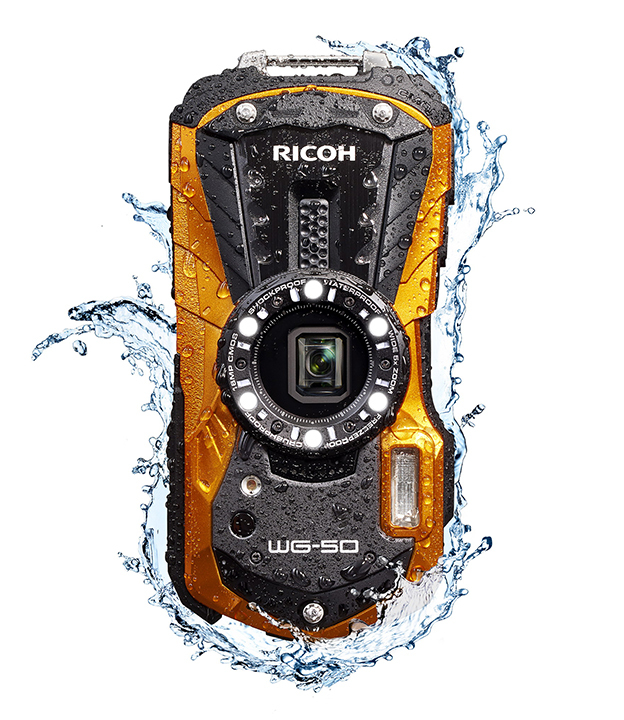 These offerings include single lens reflex cameras for professionals, high-performance compact cameras, and action cameras that are waterproof, dustproof, and shock resistant. We will help materialize economic sustainability and prosperity by providing innovative products and services. In additive manufacturing (AM), our services are designed to help manufacturing companies to maximize AM technology. In eco solutions, we provide value by helping to decarbonize society. 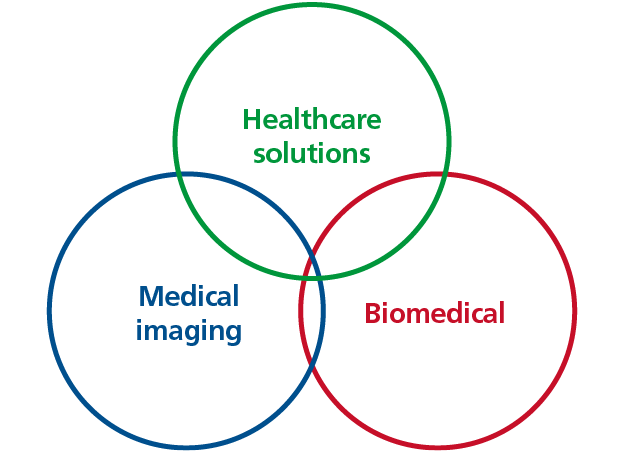 In healthcare, we offer solutions and medical imaging for medical treatment and nursing care, while in the biomedical field, we aim to expand new businesses in a range of areas to promote healthy human lives. 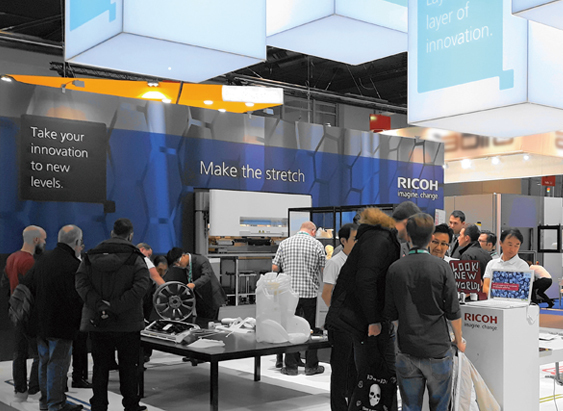 In September 2014, the Ricoh Group launched an additive manufacturing business focusing on 3D printers. We sell 3D printers from Ricoh and other brands as well as providing solutions from consulting to 3D data design and modeling. RICOH AM S5500P 3D printer launched in October 2015 offers various material options to the customers. Its main users are major automotive companies in Europe for functional prototype testing. We are developing new materials for 3D printers to enhance what we can offer. 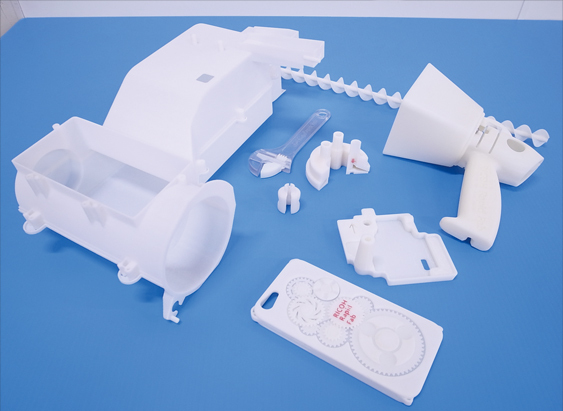 We established RICOH Rapid Fab centers in Japan (Atsugi, Shin Yokohama, Osaka, and Nagoya) and in United Kingdom (Telford) so manufacturing companies can talk with Ricoh technicians and see case studies such as modeled samples, molds, jigs and direct parts. We offer one-stop service for customers from design, print process and consulting. We support manufacturing companies who are looking to transform their business operation utilizing AM technology. We have started supplying various solutions to materialize a decarbonized, circular economy. In electricity sales services, we suggest ways to lower charges and share our expertise in conserving energy to help customers reduce their overall power consumption. 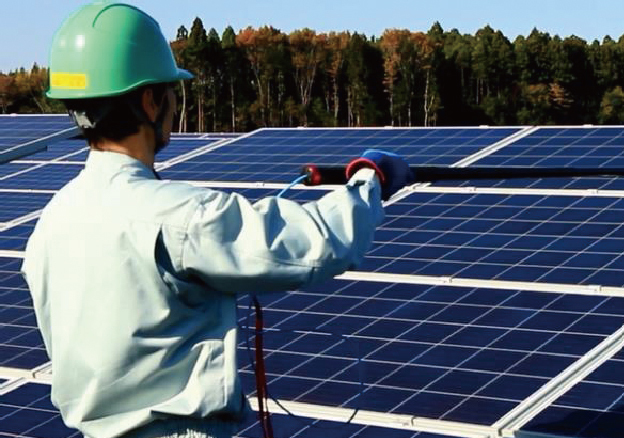 We promote the use of renewable energy and help stabilize their supplies by providing solar power facility operation and maintenance services that leverage our nationwide office equipment sales and service network in monitoring conditions and providing maintenance. 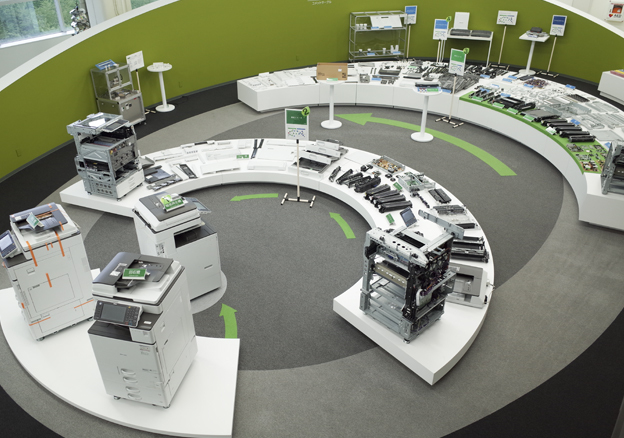 We set up the RICOH Eco Business Development Center to create new businesses focusing on alleviating environmental issues. We are using this center’s knowhow to perform demonstrations and experiments with regional entities such as local goverments that drive open innovation. Examples of this approach include a spa that uses heat from wood biomass boilers and a pico-hydropower generation system that harnesses energy from canals and other small water flows. 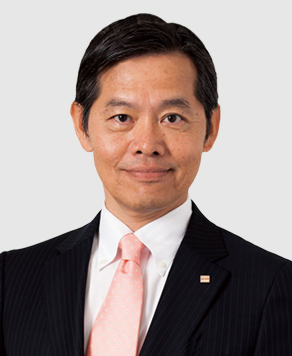 The Ricoh Group entered the healthcare field in 2016 to collaborate with medical and eldercare professionals in enhancing service quality and extending healthy around the world. We aim to expand our business by focusing on healthcare solutions, medical imaging, and biomedicine. In healthcare solutions, we are undertaking joint development with external partners while collaborating with local government bodies to create products and services that support digitization and data usage for medical treatment and eldercare. 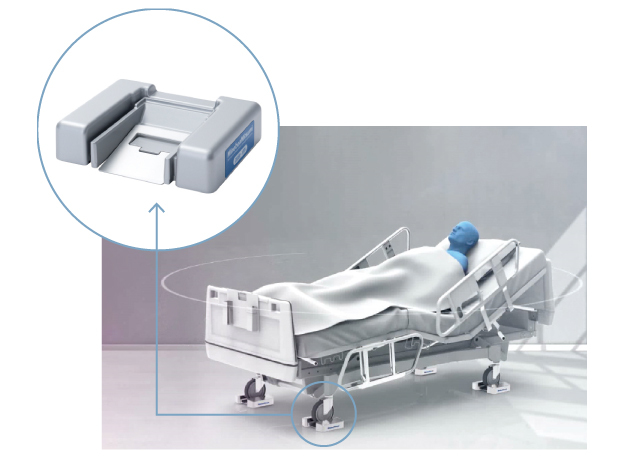 In July 2018, we launched domestic sales of the Ricoh Mimamori Bed Sensor System, which we developed for eldercare facilities with MinebeaMitsumi Inc. We are developing a comprehensive system to provide medical treatment and eldercare in regional Japan. We are also working on a telehealth system for the United States and emerging nations. In medical imaging, since 2014 we have developed biomagnetic measurement devices that show spinal cord and brain activity. In April 2016, we acquired the brain activity measurement business of Yokogawa Electric Corporation. 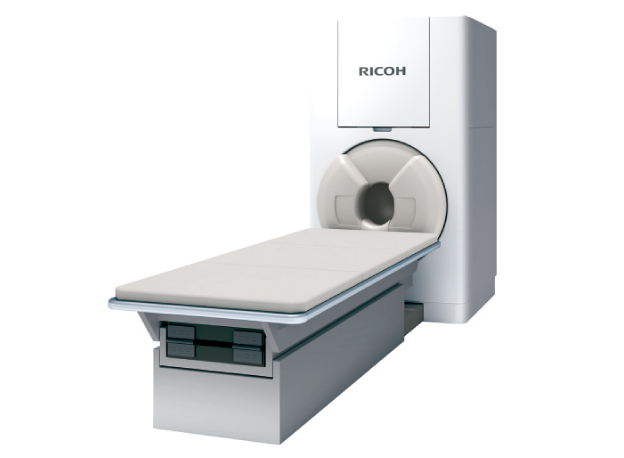 Our neuro measurement systems thereafter developed the RICOH MEG magnetoencephalography system with the Kanazawa Institute of Technology. This device received clearance from the U.S. Food and Drug Administration and manufacturing and sales approval in Japan. 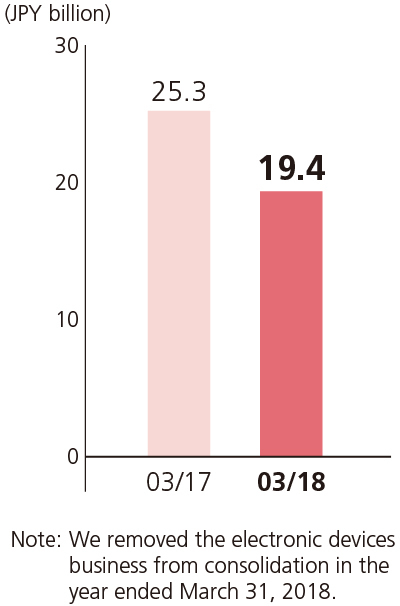 We began marketing this system in the United States in December 2017 and in Japan in May 2018. Our open innovation projects with medical institutions have encompassed clinical epilepsy studies with Tohoku University, clinical research into developmental disability with Kanazawa University, clinical spinal cord studies with Tokyo Medical and Dental University, and brain dock research with Hokuto Hospital. In the biomedical field, we are employing inkjet technologies from our printer business to develop bioprinting technologies and applied products and services that reproduce biological tissue structures by ejecting live cells. We are harnessing this technology in collaboration with the National Agriculture and Food Research Organization and FASMAC Co., Ltd., to develop new DNA reference material for controlling individual DNA molecules. 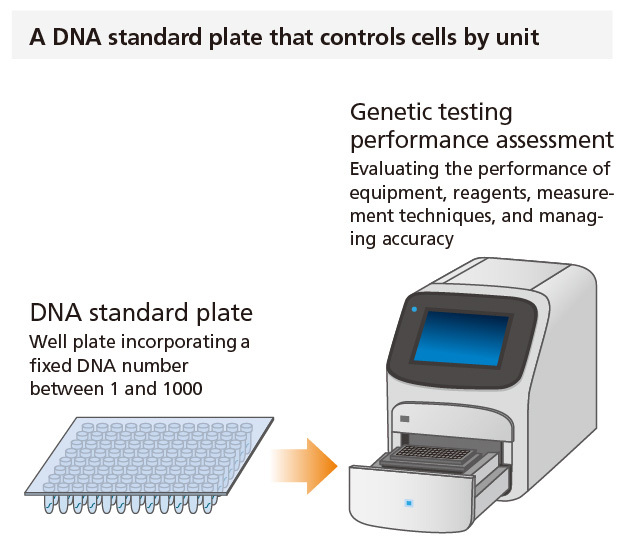 A reference material is one whose component amounts are clearly defined and can be used in quality control for genetic test equipment and reagents. This should enhance precision in inspecting genetically modified foods and in preventing overlooked instances of cancer and infectious diseases.